C3 is a combination of spaces and resources dedicated to building skills, developing content, and encouraging enterprise. C3 has a Business and Entrepreneurial Center, Public Media Center, Makerspaces, gaming labs, galleries, and a large venue. It is populated by the latest technologies, exceptional professional staff, and cutting edge materials. 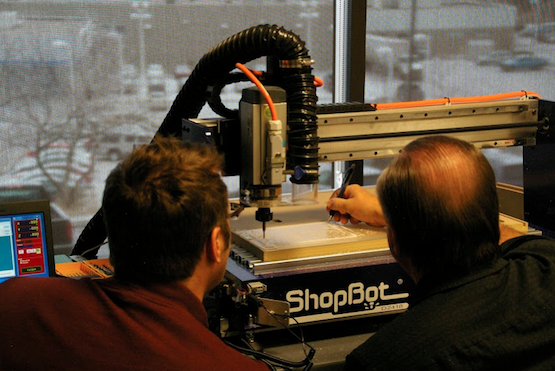 “So far, the CNC tool has been somewhat underutilized,” continued Dan. 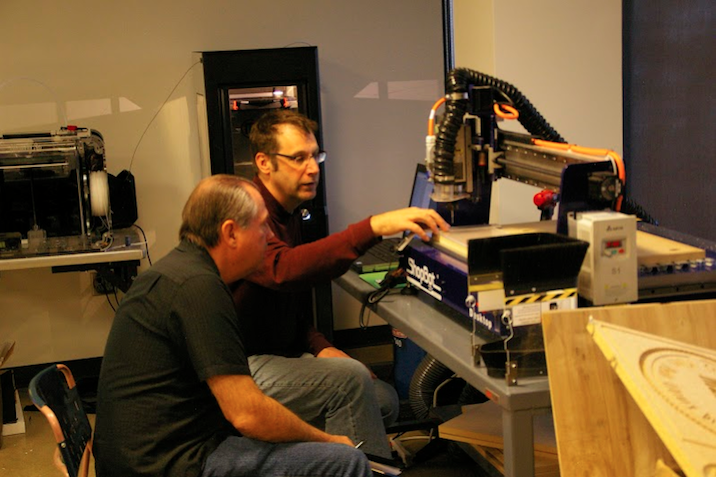 “I think this is because CNC technology is not all that well known. I’m hopeful that our continuing demonstrations will change this. Events like Maker Faires are a huge boost to public awareness.” To that point, last October, PPLD and the Colorado Springs Science Center co-hosted Colorado Springs’ first Mini Maker Faire, boasting more than 60 makers and 6,000 attendees at Library 21c. 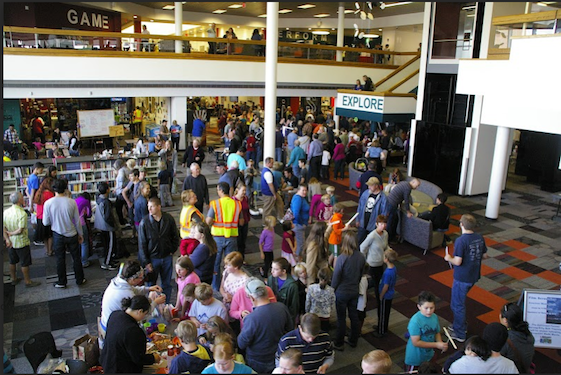 Attendees at Colorado Springs Mini Maker Faire, October 2014. At the Pikes Peak Library. The staff at PPLD report that interest and patronage continues to build for the two Maker spaces. They noted that there’s recently been interest expressed by an established manufacturer to support training there on the Desktop CNC and other digital fabrication tools for potential employees; as is often the case around the country, there are too few Americans being trained with the skills needed to perform 21st-century manufacturing tasks — and PPLD could help fill that gap.